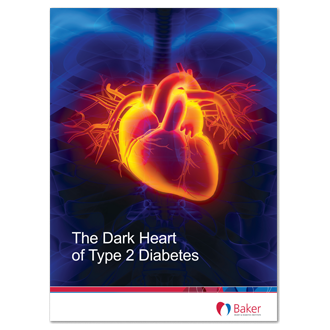 This Baker Institute report reveals the link between type 2 diabetes and heart disease. The 1.5 million Australians living with type 2 diabetes are twice as likely to suffer a sudden cardiac death, where the heart suddenly and unexpectedly stops working, compared to those without the condition. This report was supported by an unrestricted educational grant from Boehringer Ingelheim and Eli Lilly.